New Sudocrem Care & Protect have launched their most magical competition yet. Sudocrem will be granting the wishes of lucky mum’s everywhere! For your chance to win simply send your wish to the Sudocrem Facebook page competition application and Sudocrem could make your wish come true! You are able to wish for a new dishwasher, Christmas presents or even a professional cleaner. Every entrant will receive a money off voucher for Sudocrems new innovative nappy rash product, Sudocrem Care & Protect. 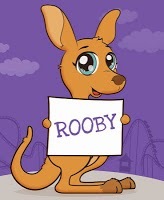 In addition to this fantastic competition Mummy to the Max readers are also able to win a fantastic goodie bag which includes a Rooby moose! All you have to do is enter the simple Rafflecopter below!